Local SEO has increasingly become a popular and important way for small- and medium-sized businesses (SMBs), and even major corporations, to reach customers. In the U.S. alone, over seven billion unique searches are performed each month. Often, these results can turn up local results for non-local searches. More and more SMBs are investing in local Search Engine Optimization (SEO) services. Despite their best-laid plans, many businesses still make mistakes when it comes to their SEO campaign. Here is a breakdown of some of these mistakes along with how to avoid them. If a potential customer runs a search for “nearby products or services,” a map at the top of the first page of results will show the name, address, and phone number (NAP) for the businesses being searched. These results are not based on your local SEO, but rather your Google+ local listing. That’s why your local SEO checklist must include a Google+ Local Page. A Google+ Local Page allows people to find you, review your business and further engage with you online as a local business. Be sure to verify that you own the page; that way no one will be able to make edits to it. When creating keywords, it is very important that you find the right balance that will bring in traffic and will allow you to remain competitive. Just don’t overuse them. Try to keep your content conversational in tone and insert keywords where appropriate. You don’t want it to appear obvious that you’re using these words for the sake of using them. As your business’ ranking on search engines like Google and Bing grows, your ongoing local SEO checklist should include competitive analysis. Look at what the top five to 10 of your local competitors are doing to find out what works. This will also help you learn which keywords are being targeted, as well as which backlinks are being used for each keyword. Not only does evaluating your competition give you an idea of what’s out there, it will also ensure you’re not repeating what’s already out there in your own offerings. First and foremost, make sure that your company’s contact information, name, address, and phone number are accurate and up–to-date. It is also important that this information is presented through text and not embedded in an image. This way, search engines can easily search and verify your contact information. If you have a Google+ listing, Google will be able to compare the information against what is on your web site. It is important that you make certain that the two match to ensure accuracy. Of all the items on your local SEO checklist, getting customers to take the time to write a review can be one of the toughest. Sending them an e-mail about leaving a review of your products and services is one of the easiest ways to get a review, as it directly asks them to do so. Although this is not a guarantee, politely asking most definitely increases the chance. Be sure to leave a link to your Google+ profile or any other profiles you may have on local review sites like Yelp. A direct link is optimal as it requires the least amount of work, and people like things to be as easy as possible. Remember to be patient; it may take time to accumulate positive reviews. Ensuring you provide good customer service is a great way to attract good reviews. Today’s Web users are predominantly visual beings. That’s why including images is very important. Images can also help with SEO purposes. Make sure that each page of your web site has at least one relevant image. But how do search engines pick up information from an image, you ask? A local SEO guide will recommend that each image have a relevant file name and ALT text tag that contains a targeted keyword and location. Including specific information will give you a competitive edge over your competition and make your search more relevant. Put simply, if the content on your web site has less than 500 words, it will result in a low ranking on the top search engines. It is also important that you provide quality content. Check your web site and make sure that each page has at least 500-words-worth of content. If you’re unsure of how to come up with quality content, it may be wise to hire an SEO marketing firm or a freelance writer with a background in SEO to do it for you. Want to convince Google and other search engines that your web site has plenty of relevant content? Your local SEO checklist should include inbound links. In simple terms, this involves getting other web sites to link to your content. The first step towards this is providing quality content that people will want to read. Your efforts should include local news and other media outlets such as trade publications and blogs that are related to your products and services. This is the premise of content marketing. And that promotes your business without explicitly selling anything. By sharing what interests you as a business, you build trust among current and prospective customers. For even more potential results, target your local chamber of commerce and other trade organizations related to your business as well. Social media has become an essential part of promoting businesses of all sizes. Facebook and Twitter provide a tool for promoting blog posts. Sites like Instagram and Pinterest let you post images of your products. YouTube lets you upload videos to give customers a direct and visual means of seeing what you do. Using these platforms is an excellent way to promote your business and build buzz. Further, interacting with followers is a direct way to build a relationship with them and let them know they are being heard. 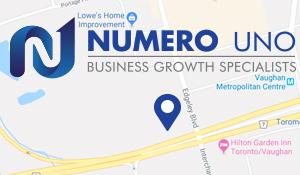 Numero Uno Web Solutions is more than happy to be your local SEO guide and help you avoid the pitfalls surrounding an SEO campaign. Our team of experts can show you exactly how to build your business so it lives up to its optimum potential. For more information on our services, please visit our web site.